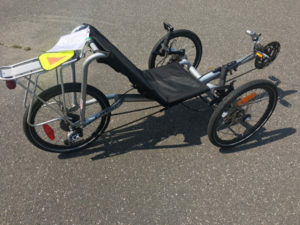 Pre-2013 model with fixed seat. Used very little. Good condition. Includes rear rack and panniers. 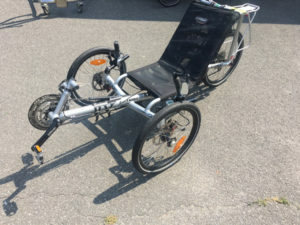 Call or email us for a test ride!